I’ve Come to Get You, Barbra. 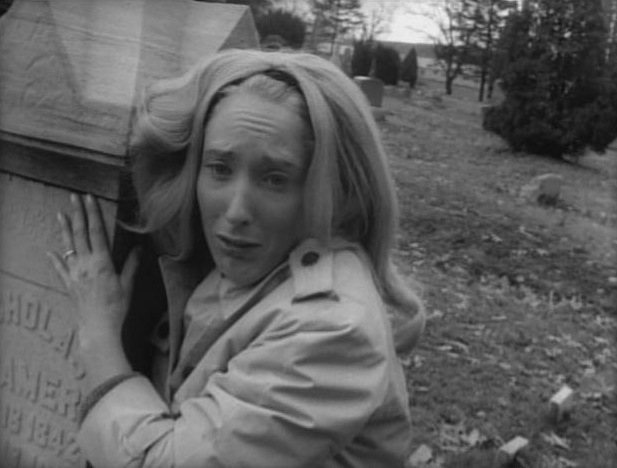 “They ought to make the day the time changes the first day of summer.” The first line of dialogue from George Romero’s Night of the Living Dead. I had almost instinctively said them as I parked my car across the way from the boarded-up chapel just past the entrance of Evans City Cemetery. It would have been silly to say them since Johnny was not in the car with me, I was not Barbra, and I was not visiting the cemetery to put a wreath on my deceased father’s grave. I can’t say for sure when I first saw Romero’s original Dead film. I vaguely remember watching it on the small television in my bedroom when I was young and adjusting the rabbit ears on top of the set to try and get a better picture. I’d be willing to bet it was on one of those late-night “Offbeat Cinema”-type shows. Without getting into the merits, symbolism, and overall genius of the film that have cemented it into horror cinema history, we’ll just say that it remains not only one of my favorite horror films of all time but one of my favorite films, in general, of all time. I doubt I speak for only myself when I say that whenever one visits an old shooting location from a film they know inside and out, the feeling of déjà vu can’t be helped. Perhaps the most iconic landmark of the film’s opening sequence is the cemetery chapel which still stands today. 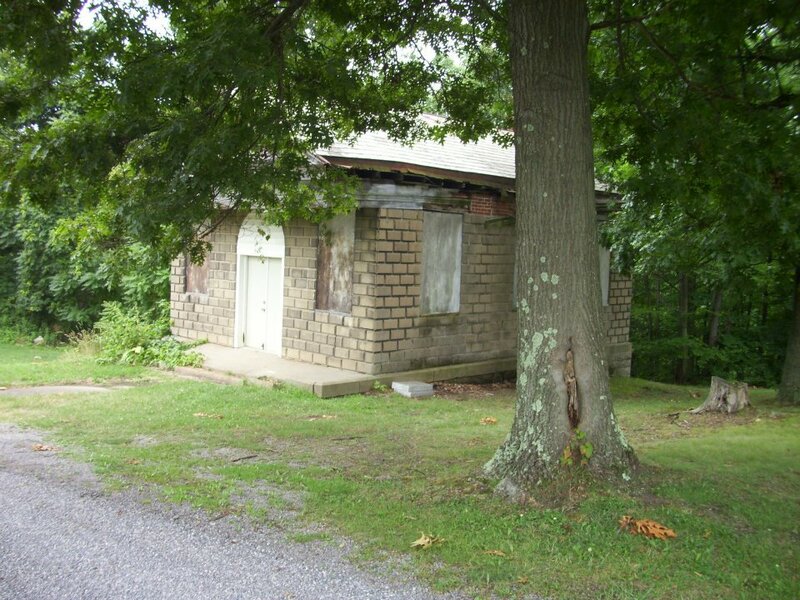 This building can be seen when Johnny and Barbra park their car and afterwards when Barbra is attacked by the “cemetery ghoul.” With the help of my ever-faithful friend, Google, I discovered that the chapel was built in the 1920s and records show it being used only once for a memorial service in November 1928. After falling into disrepair for decades, the chapel is slated for demolition if funds cannot be raised by October 2012 for structural repairs. Memorable grave markers as seen in the film are relatively easy to find from the chapel as most are in the area almost directly across from the building. The most readily recognizable family marker is inscribed with the name “Blair.” This headstone sits next to the fictional grave of Johnny and Barbra’s father and is also the same gravestone that Johnny clutches the top of during the infamous “They’re coming to get you, Barbra” scene. While facing the chapel from the Blair plot, if you turn to roughly 5 o’clock (your clock), you will be facing in the general direction where the “cemetery ghoul” first appears, shambling towards the siblings. 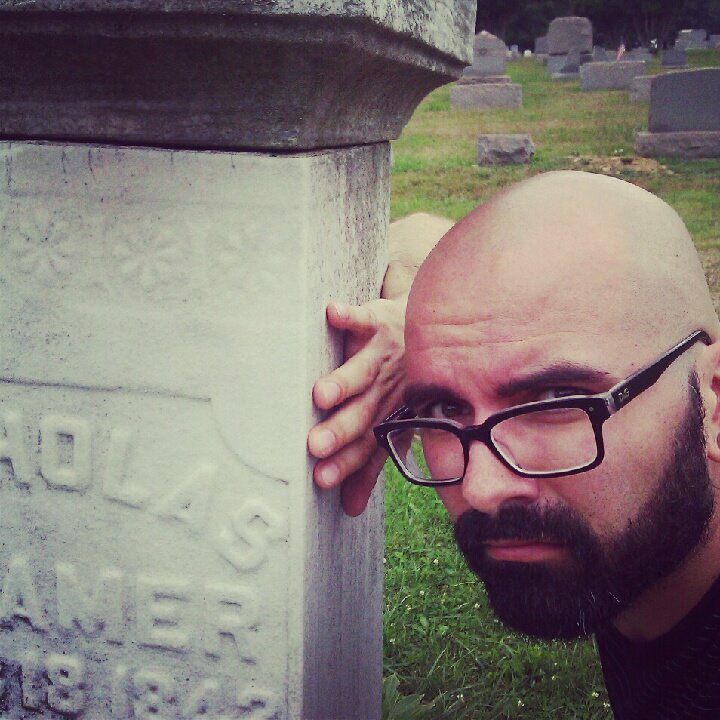 Also in this same area is a tall, white marker bearing the name Nicholas Kramer. This is the spot from which Barbra watches Johnny wrestle with the “cemetery ghoul.” To round-up this scene, the stone on which he meets his end is that of Clyde Lewis Myers and is within sight of the Kramer plot. 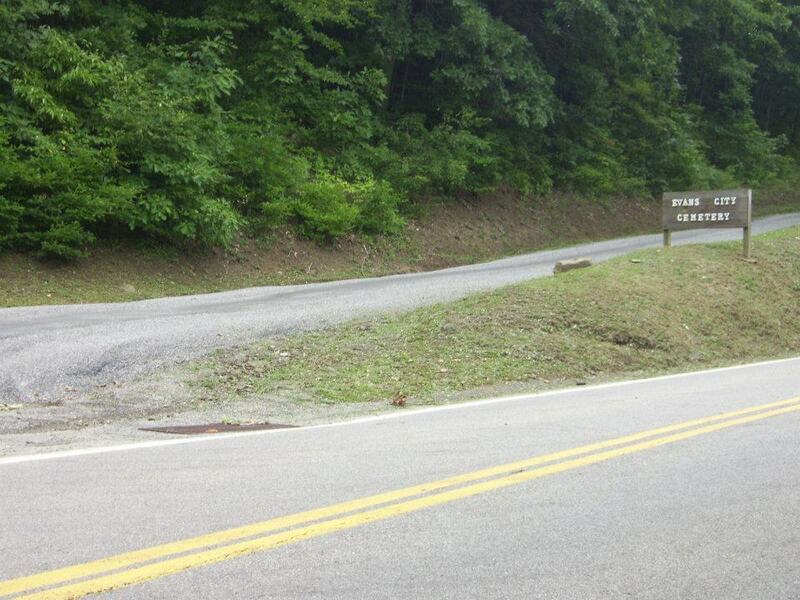 With Evans City Cemetery checked off my bucket list of filming locations that I want to visit, what comes next? Perhaps a California adventure to scope out Stevie Wayne’s lighthouse from The Fog, duck in cover at Annie Hayworth’s schoolhouse from The Birds, or enjoy brunch at Winkie’s from Mulholland Drive. 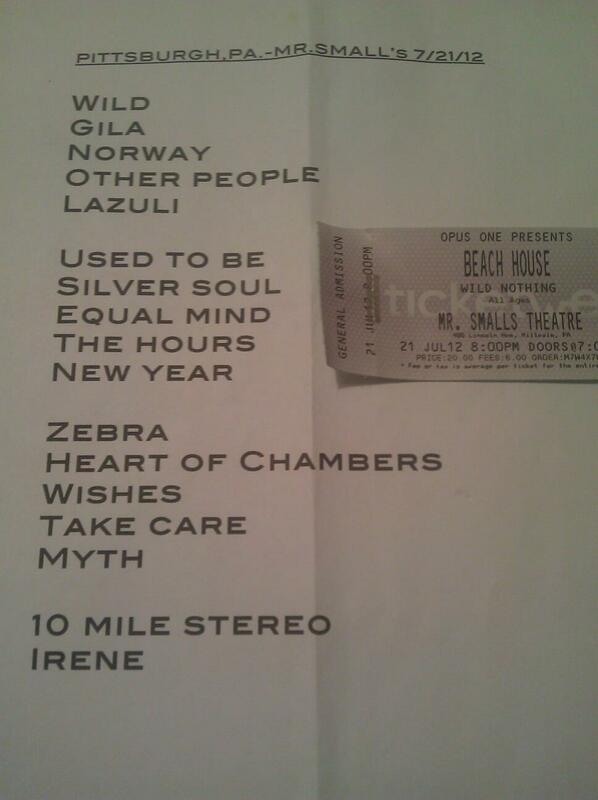 Summer 2010 was the first time that I had the opportunity to see Baltimore dream-pop duo, Beach House, live. The show was in a small theater amidst a rather rundown Cleveland suburb. My early arrival at the venue guaranteed a front row spot right in front of where Victoria Legrand’s keyboard would be set up. The show was beautifully moody and enchanting. I would end up seeing them perform in Toronto and Buffalo a few weeks later. That Cleveland show would be the start of an unofficial tradition for me, at least for the past few summers, where I would make a few mix CDs, gas up the car, and enjoy a roadtrip to a never-before-visited city to take in the sights and a show. Summer 2011 was Columbus to see The Kills. This past Saturday was Pittsburgh and Beach House once again. After a day/afternoon of seeing some of the sights in the area, I arrived at the venue, Mr. Smalls Theatre in Millvale, with a few hours to kill. Millvale, a Pennsylvania borough bordering Pittsburgh, was once a hub for iron manufacturing, saw works, stone works, lumber mills, and breweries. That would explain why the area reminded me of a cross between Twin Peaks and one of the little hamlets from a Stephen King novel with its hilly terrain, plentiful greenery, ravines, and older architecture. It definitely felt like one of those quaint, rural areas seeped in history that we city folk drive through on our way to go camping. Parking right outside the theatre gave me the added bonus of being able to listen to the band’s soundcheck while catching up on some reading. Since I already had the front row experience back in 2010, I wasn’t really in a rush to beat the crowd so it was a relaxing late afternoon with the printed page prior to the show. One thing to be said about Mr. Smalls Theatre is that they really pack ’em in… almost to an offensively uncomfortable level. I think I felt less claustrophobic when I was front row at Terminal 5 for Crystal Castles than back near the sound booth for this Beach House show. Jan Hammer’s “Crockett’s Theme” from Miami Vice was the band’s intro. Appropriate? Absolutely. The aural throwback segued perfectly into “Wild,” the second track from Beach House’s latest record, Bloom. The set was very Teen Dream and Bloom heavy which was understandable considering they are the two latest releases and undoubtedly the most critically acclaimed of their catalog. 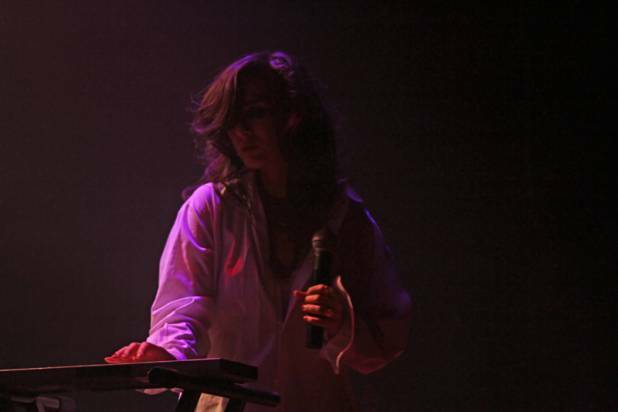 Victoria Legrand would remain bathed in heavy backlighting for most of the show, leaving her in a shadowy silhouette that, when coupled with her husky yet beautifully sultry voice, would leave one to wonder if Nico of The Velvet Underground had been reincarnated onstage. I suppose the Nico reference is more than appropriate considering the early part of that afternoon was spent at the Andy Warhol Museum. He painted a banana for the cover of The Velvet Underground’s record. Perhaps, one of his famous flower paintings would have been his choice of cover for Beach House’s Bloom.